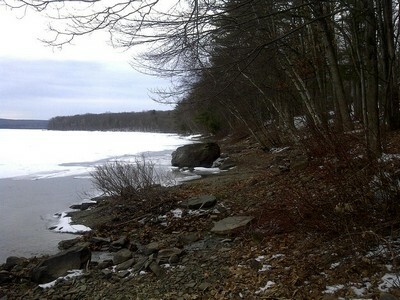 An elderly couple lived on a cove and as it was early winter, the lower portion of the cove had frozen over. The husband asked his wife if she would walk across the frozen part of the cove to the general store and get him some beer. She asked him for some money, but he told her, "Just put it on our tab". As a good wife, she walked across the ice, got the beer at the store and then walked back home across the cove. When she got home with the items she said to her hubby, "You always tell me not to run up the tab at the store. Why didn't you just give me some money?" He replied, "Well, I didn't want to send you out there with cash when I wasn't sure how thick the ice was!"